(c) otherwise as required by applicable law, rule, regulation or legal process. ask you for personal information unless it is needed to conduct business. share your personal information with anyone except to comply with the law, or protect our rights. The 3rd-i.info webserver utilizes analytics to quantify anonymous qualitative digital demographics, such as browser type, language preference, referring site, the date and time of each visitor request, entry page, exit page, and length of time spent on the site per visit. This is similar to counting how many people attended a movie on opening day. The analysis of anonymous internet demographics allows 3rd-i.info to better understand how visitors use its website, or if they experience broken links or other types of errors. 3rd-i.info may periodically release aggragate statistics based on tabulated frequencies for each of the categories/events named above, to investors for business purposes regarding the popular usage of its website. The 3rd-i.info webserver, like all webservers, also collects potentially personally-identifying information like Internet Protocol (IP) addresses. This is similar to a phone number showing up in the caller ID on your phone. 3rd-i.info does not utilize this data for any purpose, and only discloses IP addresses under the same circumstances that it discloses personally-identifying information as described above. 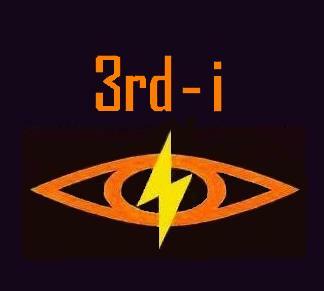 If 3rd-i.info, is acquired, or in the unlikely event that 3rd-i.info goes out of business or enters bankruptcy, user information would be one of the assets that is transferred or acquired by a third party. You acknowledge that such transfers may occur, and that the controlling entity of 3rd-i.info may continue to use your personal information as set forth in this policy.